Anyone living in Citrus County, Florida, knows that rock mining has been a booming business in the area, as evidenced by the number of trucks traveling to and from the mines each day. But most residents don’t know that rock mining has been carried on here for thousands of years. 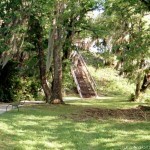 I discovered two such quarry sites in the Withlacoochee State Forest south of Lecanto, near outcrops of chert rocks. Chert was important to the prehistoric Indians since they used the rock to make tools and weapons because of properties similar to flint, a rock not indigenous to the state. These ancient mines can be located by anyone, the only requirement being an ability to pick out the stone artifacts and debris associated with the quarries. A good rule is to look for odd shaped rocks that appear to be worked or chipped. Since the artifacts may have been covered by several feet of soil over thousands of years, the best place to search would be on dirt roads and embankments in the vicinity of these outcrops. All of the items at the two forest sites were spotted in this manner. 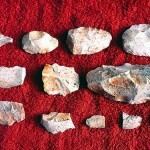 Robert Marsh, a teacher from Brooksville, visited the first site and examined the artifacts. In addition to teaching, he also does environmental impact studies for companies planning construction projects in this part of Florida. Part of his work involves locating historical sites and recording information about them. According to Marsh, these quarries can be found throughout much of the state. Indians living near a quarry would mine the chert and then begin the production of implements at the site. They would chip the rocks to the appropriate size and rough out the general shape of products needed. I remember tube caves farther in that are scattered around and , if you’re not careful, you could fall in. They are formed when rain drains down into the ground and forms a long tube that curves down and then opens up into a larger area. These tubes are about 3 feet in diameter and drop down 25 to 35 feet. I almost stepped in one that was next to the base of a pine tree covered with pine needles so you have to watch your step. Scroll down on this site and follow the map, FR13 north about a half mile past Tillis Hill and near the crest of another hill. 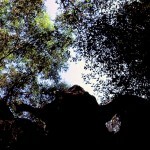 The field of pines dotted with these caves should be on the left, up to 150 yards in. 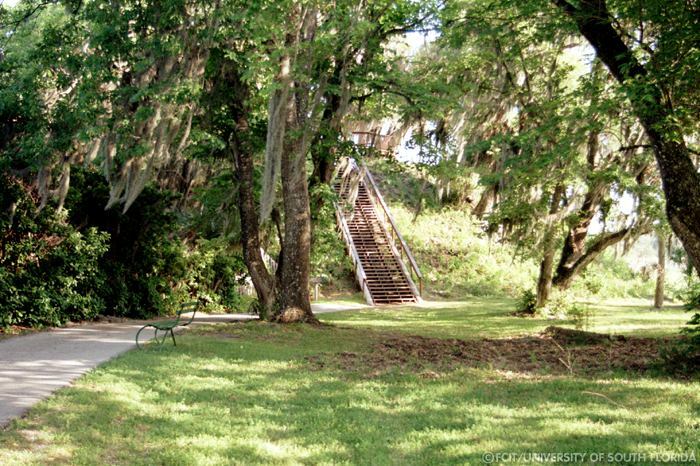 According to Dr. Jerald Milanich, associate curator of archaeology at the Florida State Museum in Gainesville, Indians could have inhabited the caves “on a temporary basis, as special use sites,” but not as regular dwellings. 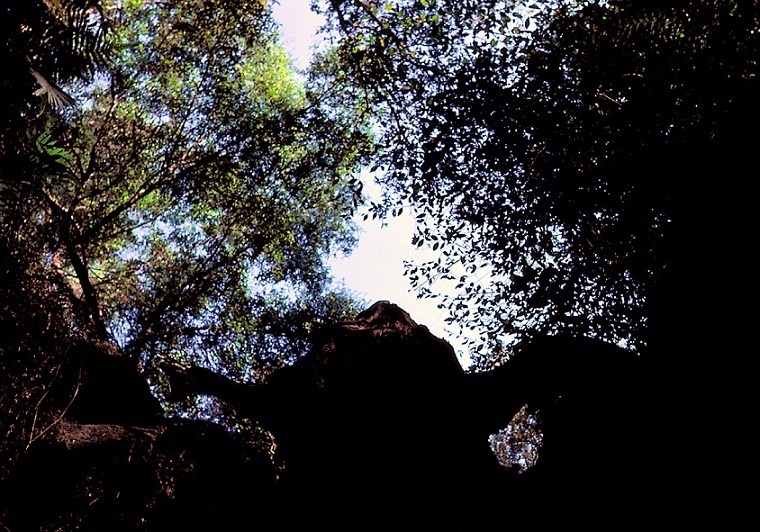 He did note that an article a few years back in the Florida Anthropologist reported on some caves in Marion County that contained considerable evidence of human habitation. Just how far back have people mined rocks here? A hand axe at the first site was dated by Marsh at a period between 2000 B.C. and 4,000 B.C., based on his experience with similar artifacts from other locations. 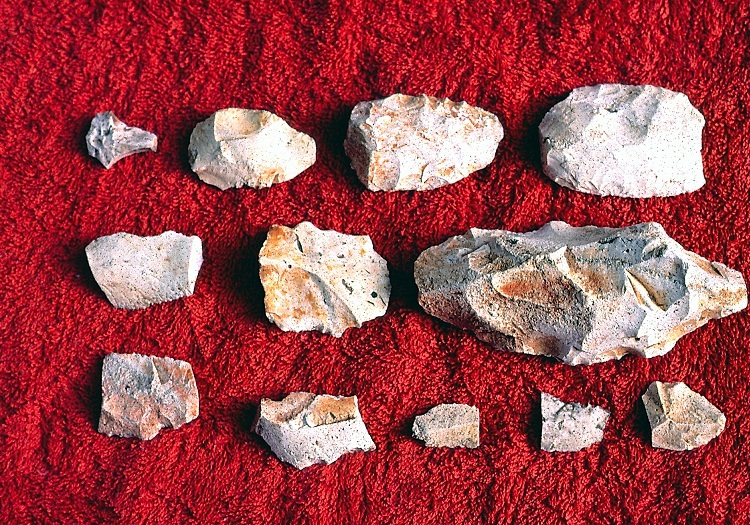 A display of finished stone tools and weapons that came from Florida’s early rock mines is available for viewing at the Crystal River State Archaeological Site, located north of these caves at Crystal River, Florida on Hwy. 19 on the left. The artifacts in the museum there provide evidence of local human habitation as far back as 10000 B.C. One arrowhead dating back to that time is from a collection donated to the museum by the late C.R. Ward, who resided in the area. It’s called a Folsom point, after the type first discovered in the Southwestern United States, sometimes in association with the bones of prehistoric bison. There are still quarry sites to be discovered in Florida and the amateur archaeologist can play an important role in this endeavor. Amateurs can be trained to operate a site. The major problem they may encounter is a lack of resources to work a site properly. For knowledgeable amateurs or people who think they may megabox hd for pc have discovered an archaeological site, Milanich suggested they “contact the Florida State Museum or someone in the anthropology department.